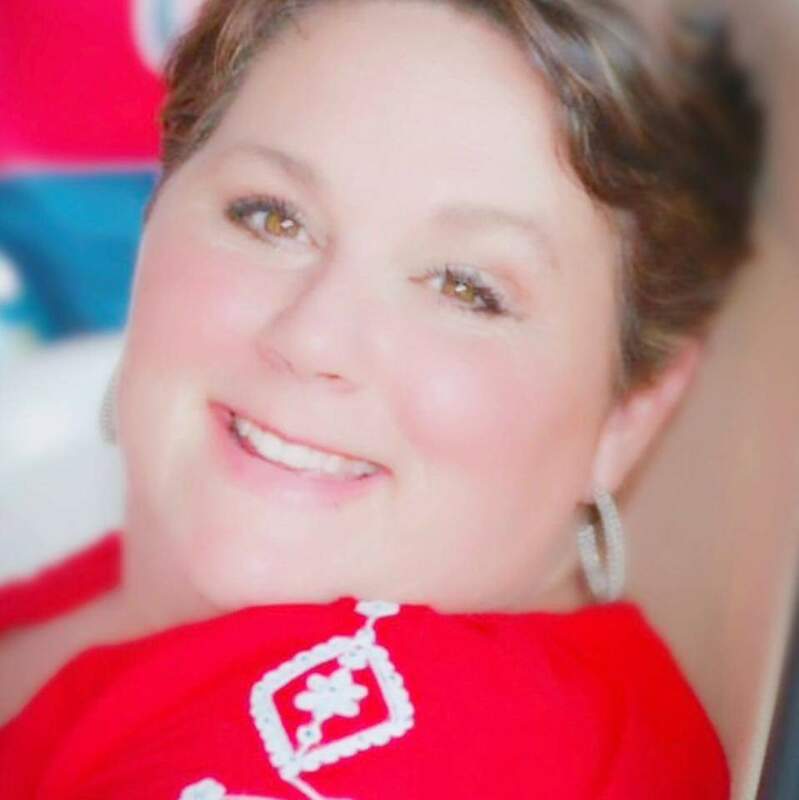 Mrs. Lee Ann Canada Bauer, 50, of Oxford, MS, passed away Friday, February 16, 2018 in Southaven, MS. Mrs. Bauer was a self-employed nanny, whom loved and cherished the children she tended to. Her entire world revolved around her daughters and family. No matter the activities they were involved in, she was going to be there cheering them on every step of the way. Mrs. Bauer was such a selfless woman, she would do anything to help someone else, no matter what it was. Aside from her family, Mrs. Bauer had a love of three things: animals of all kinds, Ole Miss football, and Ole Miss baseball. She never passed up an opportunity to take in a stray and made sure they were fed and well taken care of. Having attended Ole Miss, she was an avid supporter of the school and their athletic teams. Mrs. Bauer’s legacy will continue to live on through the many memories she has made with family and friends. Mrs. Bauer leaves behind her loving husband of thirty years, Ty Kevin Bauer of Oxford, MS; her mother, Dorothy May Canada of Southaven, MS; three daughters, Maygan Bauer of Jackson, MS, Jordan Bauer and Olivia Bauer both of Oxford; one brother, Greg L. Canada of Southaven. She was preceded in death by her father, Robert G. Canada; and sister-in-law, Roseanna Canada. In lieu of flowers, the family asks that donations and memorials in honor of Mrs. Lee Ann Canada Bauer, be made to the Cats of Catnip Row Rescue and Sanctuary (P.O. Box 2863; Oxford, MS 38655). Visitation will be held Monday, February 19, 2018, from 6:00 P.M.-8:00 P.M. at Twin Oaks Funeral Home (290 Goodman Rd E; Southaven, MS 38671). A funeral service will be held Tuesday, February 20, 2018 at 2:00 P.M. in the chapel at Twin Oaks Funeral Home. Interment will be at Twin Oaks Memorial Gardens in Southaven. We were so saddened to hear this news. This unexpected tragedy has to be so hard to accept. It makes us question God’s choices, however; we do realize he knows best. Thinking & praying for all of you during this very difficult time. May God give you comfort and peace during this most difficult time. Lee Ann was one of the sweetest and most caring person! May God bless your entire family with the knowledge that she is with her Heavenly Father! Please accept my sympathies and condolences! So very sorry for your loss. Lee Ann was so sweet and caring and loads of fun. I appreciated her so much as a co-Pony Club parent. I know it will be hard to be without her on this physical plane. Yet she will be always here cheering us all on to be our very best. Thank you for sharing her with us all. Ty and Girls, My heart is broken for you. LeeAnn was always so fun to be around! I keep seeing her crossing her eyes and smiling so big. Always loving and giving. Praying for you all! Ty, Please know you are in my thoughts and prayers. How very sad. Ty, so sorry for your loss. You and your family are in our thoughts and prayers. My sympathies to Ty, Lee Ann and a Ty’s daughters and the rest of Lee Ann’s family. Lee Ann was one of a kind, a caring, loving woman who meant a lot to her friends and family. My wife, Pam, and I will always cherish our friendship with Lee Ann and Ty. Lee Ann lives on with all of us. I’m so sorry to hear about Lee Ann. My prayers are with you and your family.